Gimmer introduces its easy to use automated crypto-trading platform where everyone can benefit from the cryptocurrency market. After its inception in January 2009, Bitcoin has introduced the world to blockchain technology, decentralized payment systems and, most importantly, cryptocurrencies. From the appearance and early adoption of Bitcoin, the digital currency market has evolved. Just from the start of 2017, the cryptocurrency market capitalization has surged up from approximately $18 billion to over $148 billion, an increase of $130 billion (over 820 percent) in little more than 10 months. Due to the innovation and potential, crypto startups are launching an increased number of digital coins. At the time of writing this post, the cryptocurrency space consists of 5,589 markets and 1,141 cryptocurrencies. Automated trading is a popular choice among currency traders. While “traditional” trading methods require the users to sit in front of a computer most of the time, automated trading gives the trader the opportunity to sit back and relax while taking profits from the forex market. Automated trading has been introduced to the cryptocurrency space before, however, all of those platforms requires the user to possess ample programming and trading skills along with a vast knowledge of the cryptocurrency market. This is the point where Gimmer comes into the picture. 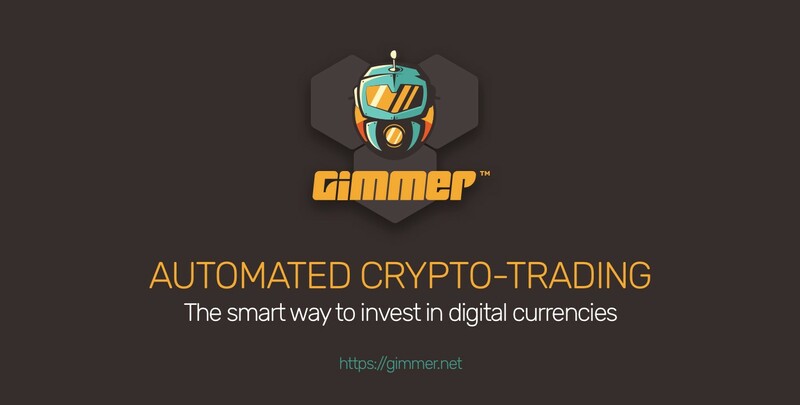 Unlike the other cryptocurrency trading platforms, Gimmer introduces an easy and smart solution for automated crypto-trading. You don’t need to be tech-savvy at all or have previous trading experience. 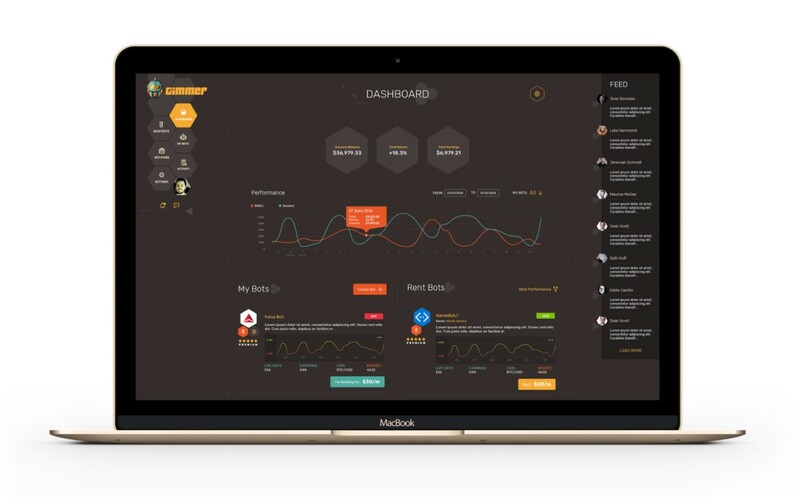 Powered by blockchain and advanced algorithmic bots, the Gimmer platform allows the user to set up a bot with a few clicks and start trading while generating profits from the cryptocurrency market. Therefore, Gimmer eliminates the common issue of day traders, which is the time-consuming process of sitting behind the computer screen carefully screening a trade. Gimmer’s automated trading solution can even let the trader sleep tight while taking huge profits from the continuously growing cryptocurrency market. Gimmer considers the user as the main priority, that’s why our small team of experts designed a user-friendly interface on a decentralized platform implementing the core principles of full transparency and security. Gimmer‘s advanced algorithmic trading bots lets the trader relax while taking profits from the cryptocurrency market. Gimmer is utilizing advanced algorithmic trading bots to set-up a trade. Every user can rent the bots out of the Bot Store and configure them through a simple point and select interface. The bots can be configured to include a specific number of safeties, indicators, and cryptocurrency pairs. Gimmer allows every user to run backtests in order to determine their performance based on historical data. Gimmer Tokens (GMR), powering the Gimmer ecosystem, are used to rent out the bots from the Gimmer Bot Store. Once they are charged with GMR, the trading bots will connect directly and securely with the user’s preferred exchange, sending the buy and sell commands automatically. By utilizing automated trading and advance algorithmic bots, Gimmer removes every chance of human error, such as the user’s emotions interfering with the trade. Every user has the chance to set-up trading strategies that they can use for their bots. Furthermore, using the Gimmer platform, users also have the chance to rent out their strategies to the others. This presents a great opportunity for experienced or successful traders as they can generate additional revenue by creating strategies and renting them out to the Gimmer community. Everything in the Bot Store shows live metrics of a strategy’s historical performance along with user ratings utilizing the community’s power to determine the best strategies for Gimmer’s customers. Furthermore, the Gimmer ecosystem allows and encourages all users to share valuable information on cryptocurrencies, on their insights and views asking questions and learning from fellow traders in Gimmer’s built-in social network. In the course of six months, Gimmer’s public beta attracted over 800 active users who created more than 7100 crypto-trading bots and successfully completed nearly 13,000 backtests. Gimmer’s public beta platform was released in early 2017 using a centralized application focusing mainly to validate the core functionality of the trading bots. During the course of six months, over 800 active users participated in the Gimmer public beta creating 7,170 active crypto-trading bots and successfully completing 12,893 backtests. The most profitable bot in the period handed 87 percent of returns to the users. Gimmer will hold a Token Sale to further develop the platform. The Gimmer Token Sale is expected to start in mid November, head to the Gimmer site for more information or read our whitepaper. Do you have any questions regarding Gimmer? Join us on our Slack channel!